I’d never heard of a growth team when I joined Uber. When the company created one, our CEO emphasized the importance of focusing one team on driving the growth of the business. Intrigued, I volunteered to lead design. We started small, just two designers with a few engineers, product managers, and analysts. In two years we’ve grown to a 300 person organization, with a 30 person design team. Design plays a pivotal role in the growth team’s mission to accelerate the growth of the business. We touch all parts of Uber — product, marketing, and internal tools. 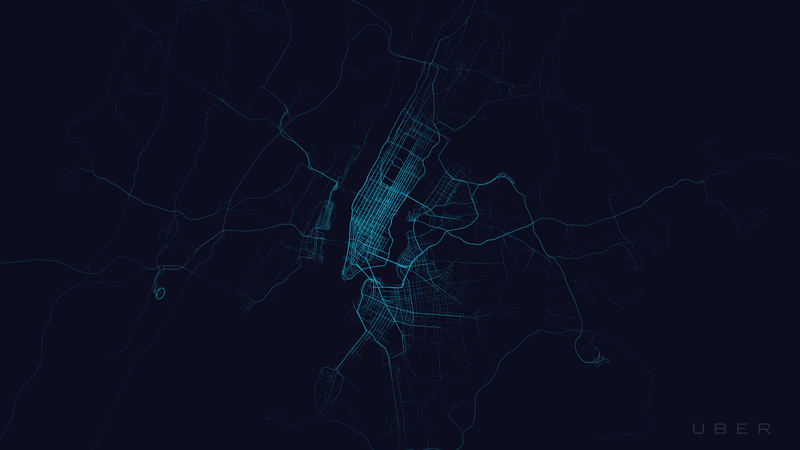 We design for riders, drivers, and operations teams across the 68 countries where Uber operates. Everything we do gets tested, tracked, and measured to ensure we’re maximizing growth in all areas of the company. Designers on the growth team take an empirical approach to every project. We start by identifying the criteria that will prove the design successful. This criteria could be something quantitative (like an increase in rider or drivers signing up), something qualitative (like ease of use), or some combination of both. Once we’ve defined success, we hypothesize how to achieve it and design around that hypothesis. When the design is done, we run a test. This could entail conducting a user study with our research team, shipping the design to a small segment of our user base, or launching to everyone and monitoring the performance closely. If we achieve our goals, we consider the hypothesis valid, fully roll out the design, and move on to the next project. If we don’t achieve our goals, we iterate on the solution using the insights from our invalidated hypothesis. The process feels more like a chemist methodically working in a laboratory than an artist whimsically flinging paint at a canvas. Very little happens by chance. We base our design decisions on proven facts and learn from our mistakes. This approach allows us to drive growth in a controlled and understood way. Designers on the growth team love data. We work closely with data analysts and product managers to dig into the metrics that relate to our projects. We don’t do the actual analysis, but we grasp concepts like click through rates, cost per acquisition, and statistical significance. We constantly review the numbers and use the insights from analytics reports to inform our design decisions. When beginning projects, we look for trends in the data that corroborate our own observations and what we learn from user research. If we’re advocating to put projects onto the roadmap, we’ll always use data to strengthen our case. This ensures we always focus on the right problem, not a best guess of what to do next. After a project ships, data validates the impact of our design. We measure key metrics to ensure our design does what we intended. For example, if we work on a new signup feature, we’ll monitor things like button clicks, conversion rates, and the number of accounts created. If we don’t see improvement in those metrics as we test our designs, we’ll iterate further before rolling the feature out to all customers. This ensures we maximize the effectiveness of our work and get it right before moving on to the next project. Our approach relies heavily on a/b testing, so we design more than one solution to each problem. This doesn’t mean throwing a few random options against the wall to see what sticks. It means carefully crafting multiple variations, each based on a clear hypothesis. Always fully designed and high quality, each option “works,” but for a different reason. We test these variations on a small segment of customers and iterate if necessary before fully launching the strongest solution. For example, when we design ads for Facebook to attract new driver-partners, we always test multiple headline options that tout different benefits of signing up to drive. We often try different visual directions to find what will attract the most attention — photography, illustration, copy-driven, etc. Every option stays true to Uber, but each emphasises a different aspect of the service and brand. Testing in this way does two things. First, it maximizes the impact of our design. If we simply shipped what we believed to be the best solution, we would risk leaving the actual best solution pinned to the concept board. If we fully develop and ship multiple concepts, we stand a better chance of releasing the best design to our customers. Second, it helps us learn. Tracking what performs and what does not provides insights about what resonates with different customers and on different mediums. We take those learnings into future projects and build an even smarter suite of options the next time. We design very efficiently to minimize our effort and maximize our impact. If a small change will bring a big improvement, we don’t completely overhaul a product or feature. We always start by looking for the simplest, easiest, lightest solution to the problem. For instance, when looking at ways to improve access to our give a ride / get a ride invite feature in the rider app, we started by simply changing the menu link from “share” to “free rides.” Shifting from describing the action to describing the value of the feature significantly increased the number of people who invited friends. This improvement required zero design hours, so our designer was able to instead invest her time in building a different, brand new feature. This bias towards doing less allows us, paradoxically, to do more. We can do more variants in our a/b tests, more iterations of each project, and more projects in general. Doing less doesn’t mean that we don’t take on big, meaty design projects (just look at the cash feature in India). It means considering the easiest solution first and not wasting time overhauling a feature that doesn’t need overhauling. Moving fast amplifies our impact. The quicker we ship, the quicker we learn from research and a/b tests. These learnings influence future iterations and help our projects find success faster. The faster we find success, the sooner we can move onto the next project and create impact in other areas. Speed is also strategic to the success of Uber. The ecosystem gets better as more people use the service. More drivers on the road means shorter wait times for riders. More people requesting means more rides per hour for drivers along with less down time between trips. We grow fast to improve the experience for all our customers. The challenge is moving fast while still thinking deeply about the problem and fully refining the design. We do this by working together to supercharge our process. We start many projects with cross-functional brainstorms that leverage the brainpower of the entire team to generate ideas and solutions. We sketch together constantly, exploring multiple directions in low fidelity before investing more time on refinement and polish. We review work early and often to safeguard against wasting time going down the wrong path. Despite the focus on data and metrics, we still aim to create emotional impact with our work. One of Uber’s cultural values is “make magic,” and we don’t consider a design successful unless it both achieves our growth goals and feels magical. This could come from a superb visual refinement, beautiful illustrations and photographs, or delightful animations and interactions. Magic isn’t an easy metric to measure, but we value it just the same. We constantly strive to find ways to weave a little something extra into the work. It’s the best part of working on this team. We’ve grown considerably since I started on growth design two years ago, and we’re not stopping anytime soon. We need great designers, writers, and researchers to help us continue our mission to drive growth around the world. Do you want to rapidly ship products and experiences, impact people worldwide, and make cities more productive and efficient? If so, check out uber.com/design to see our latest career opportunities.